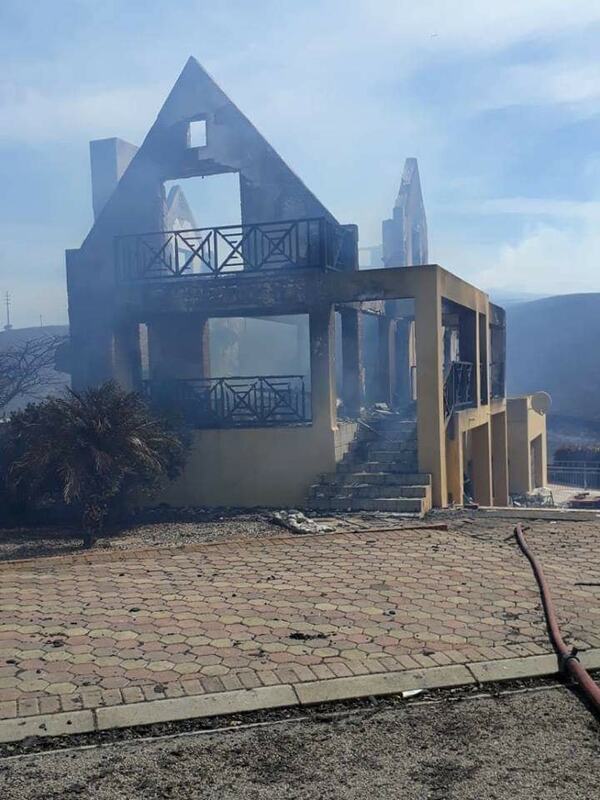 A wildfire fanned by strong winds destroyed two homes in Mossel Bay in the southern Cape on Monday, 21 January 2019. 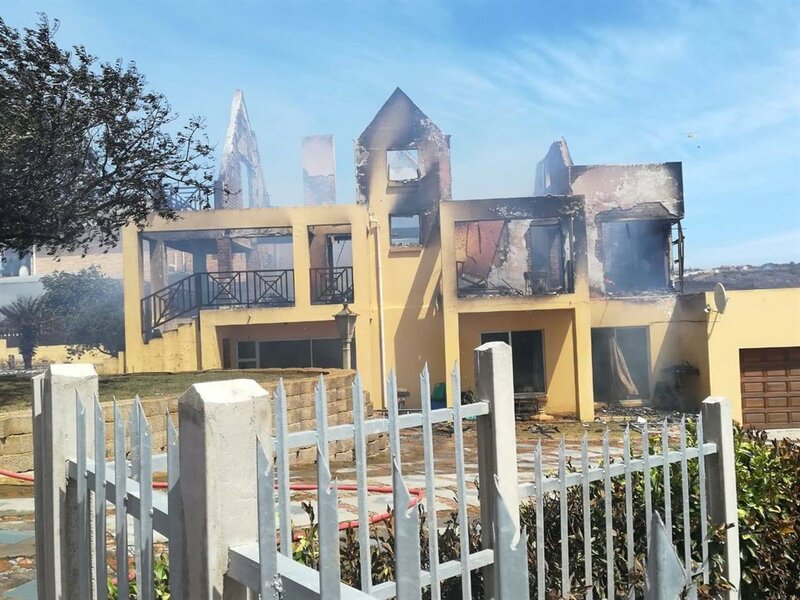 Mossel Bay Fire and Disaster Management Service chief fire officer, Joseph Johnston, said that the fire department received the call at 11h16 and responded by 11h17 from both Mossel Bay and Great Brak fire stations. 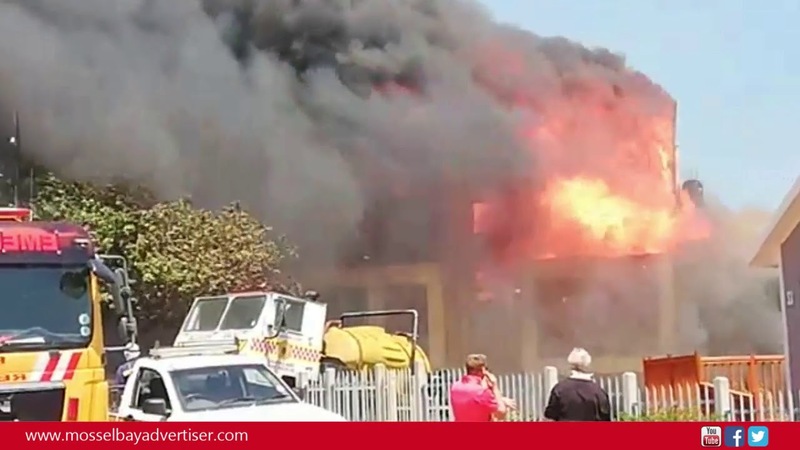 The response included 10 apparatus from Mossel Bay Municipality, one water tanker from George Fire and Rescue, a water tanker and skid unit from Garden Route District Municipality as well as aerial support, which included a helicopter from Mossel Bay Helicopters, a Huey from Working on Fire (WoF) Stilbaai, a spotter and AT802 fixed-wing bomber from George assisted. 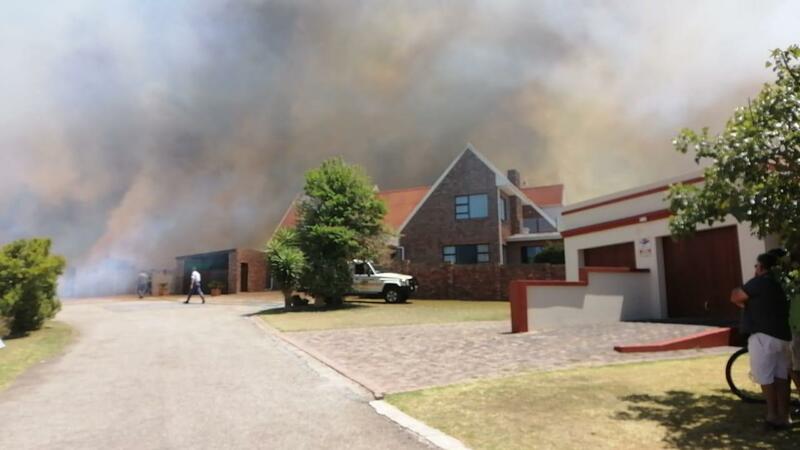 Local businesses supplied another three water tankers and water supply to area was boosted by the Department of Waterworks. The neighbourhood watch also assisted by cordoning off the area. 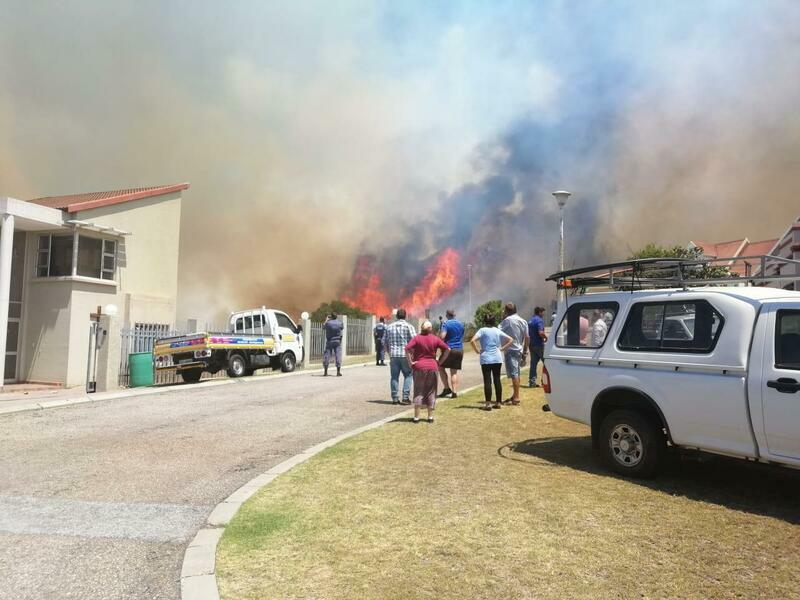 A incident command post was set up at the corner of Boekenhout Street and Geelhout Avenue. 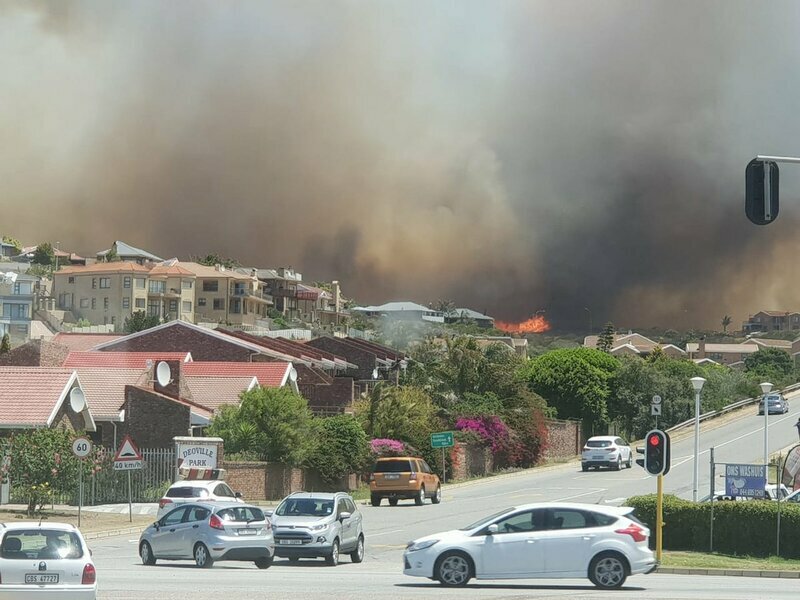 Although no evacuations were enforce in Menkenkop and Hartenbos Heuwels, two fire fighters were hurt and taken to hospital. 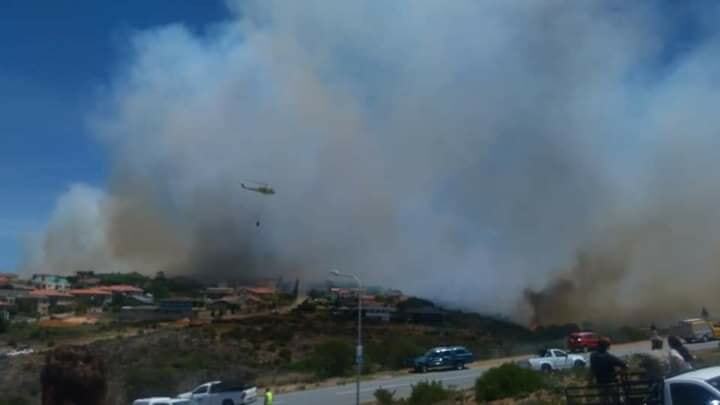 However, they insisted continuing fighting the wildfire until it was under control before they went to hospital for treatment. They were released from hospital within an hour. 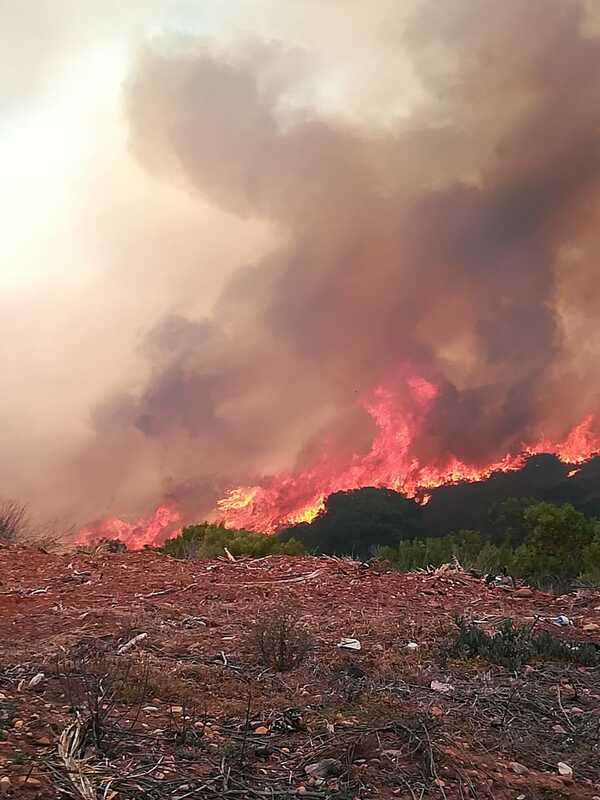 The fire was brought under control at 19h30 the same evening and mopping up operations continued through the night and Tuesday, 22 January 2019. 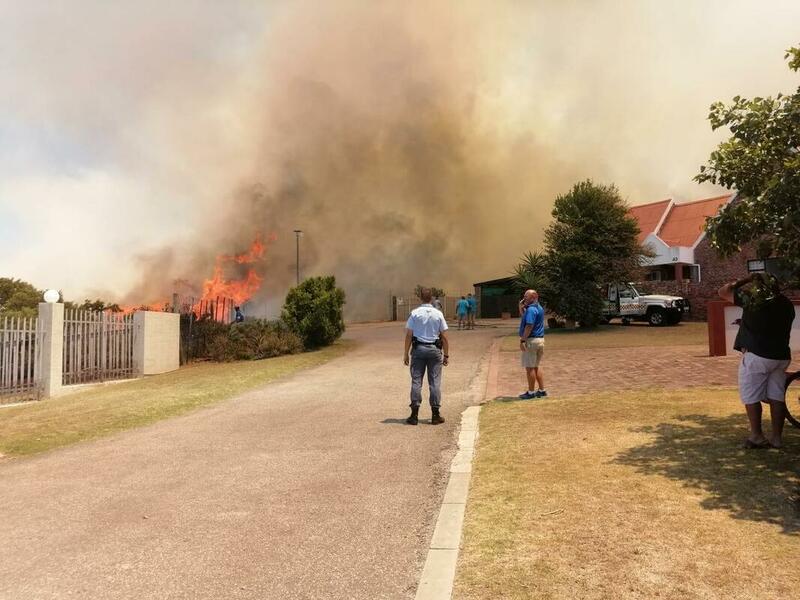 Two structures were lost; one house in Neels Street in Menkenkop and the other in Safraan Street in Hartenbos Heuwels. 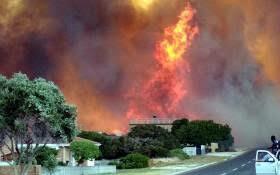 The burn scar is 100 hectares. 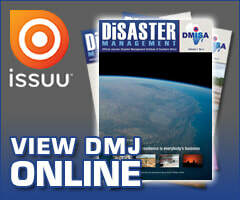 Chief Johnston said that they were faced with a wind of between 60 to 80kms per hour. 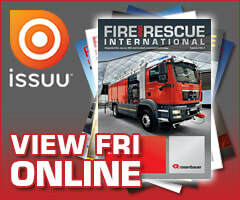 Onlookers also caused some challenges to the response. Chief Johnston commended the community for working together so well under such extreme conditions and thanked the neighbouring fire departments and local neighbourhood watch and businesses for their assistance.